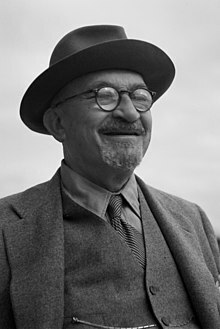 Weizmann, Chaim (January 1942). "Palestine's role in the solution of the Jewish Problem". Foreign Affairs. ^ a b c Ehud Sprinzak and Idith Zertal (2000). "Avenging Israel's Blood (1946)". In Jonathan B. Tucker (ed.). Toxic Terror. MIT Press. pp. 17–41. Verete, M. (January 1970). "The Balfour Declaration and its makers". Middle Eastern Studies. Wolf, Lucien (1934). Cecil Roth (ed.). Essays in Jewish History. London. Wikimedia Commons has media related to Chaim Weizmann.